It's one of the biggest activations for Game of Thrones, which is filmed in Belfast. 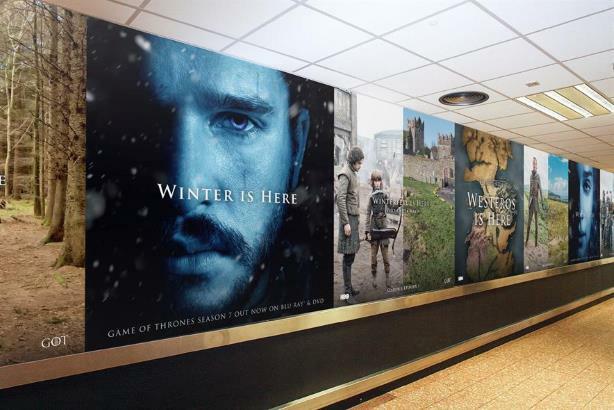 The experience includes out-of-home creative that changes the famous line "winter is coming" to "winter is here." There were also people in character at the airport for photo opportunities. The work has been created by agency Aesop, which also designed the boxset. HBO, which produces Game of Thrones, also worked with Backyard Cinema to create a frozen ice cave experience in London this week.